There’s no denying that Fallout 4 has been a massive success. The game shipped over 12 million units at launch and broke GTA5’s record for the most concurrent Steam users less than a day after its release. Part of this is due to the game's enormous open world and the amount of freedom it gives to the player, but this also means there are a few bugs in Fallout 4, ranging from the amusing to one that is potentially game-breaking. But now, Bethesda has announced that it will be addressing these problems by releasing a beta patch on Steam next week, followed by a full release on the PC. Consoles will receive the patch at a later date. It's true that the freedom our games offer you can lead to unintentional consequences that are sometimes bad, when the game combines too many unexpected elements at once. Given the scale and complexity of the systems at work, especially when allowing you to build your own settlements, we're happy that Fallout 4 is our most robust and solid release ever, and we'd like to thank our amazing QA staff who worked as hard as anyone to break the game so we could fix it during development. But a hundred testers will never replicate the many millions playing the game now, and we're hard at work addressing the top issues. The number of bugs players have found in the game seems to vary from person to person. The aforementioned game-breaking glitch, which appears to come up once players have passed a certain point in the game or after they've unlocked/passed a certain location, will no doubt be the main problem that the patch addresses. 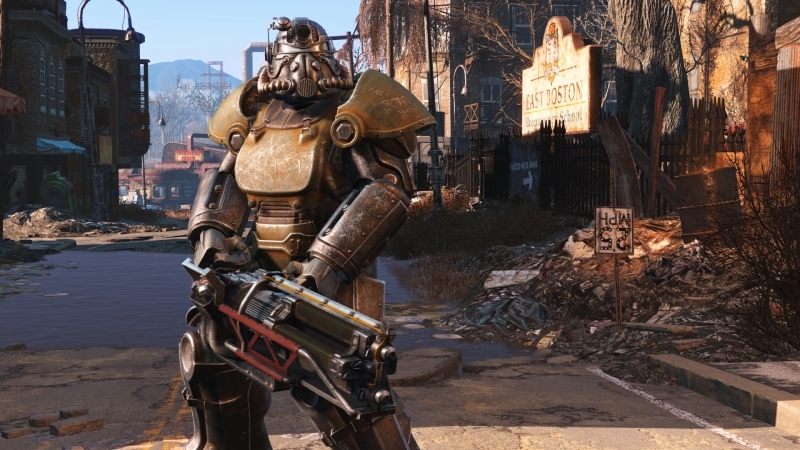 For the vast majority of people, Fallout 4 shows no PC performance problems, although there have been some reports of framerate drops when walking through certain buildings. This is apparently more of an issue on consoles, where the game noticeably dips well below 30 fps in areas such as rooftops and during interior battles. Again, this is something the upcoming patch may address. Personally, after spending about 40+ hours in the Wasteland I have encountered very few bugs (of the non-mutated kind), no PC performance issues, and only one crash to desktop. Considering that Fallout 4 is such a vast game, and looking at the problems some of this year's other big releases have faced, you can see why Bethesda considers Fallout 4 to be its most robust and solid release.